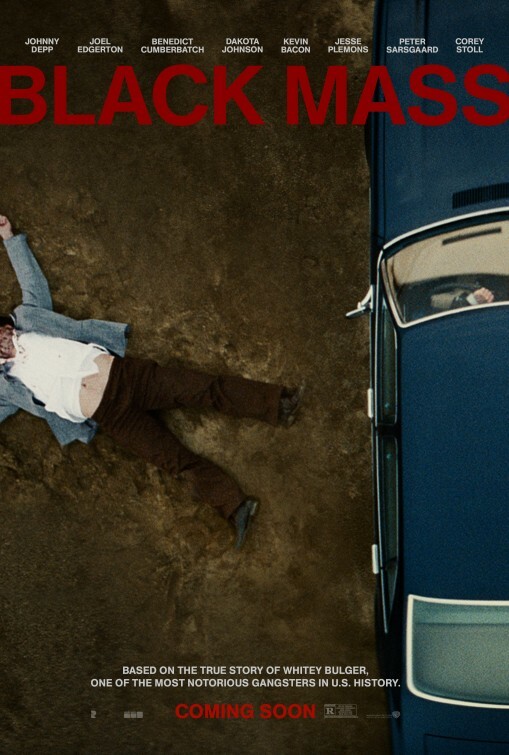 In 1970s South Boston, FBI Agent John Connolly (Joel Edgerton) persuades Irish mobster James “Whitey” Bulger (Johnny Depp) to collaborate with the FBI and eliminate a common enemy: the Italian mob. The movie Black Mass tells the true story of this unholy alliance, which spiraled out of control, allowing Whitey to evade law enforcement, consolidate power, and become one of the most ruthless and powerful gangsters in Boston history. It’s difficult to see how this movie plays to audiences outside the Boston area, but Boston is where it all happened – it’s shocking. Witnessing all the payoffs, threats, and murders played out on the big screen is gut wrenching, and when you finally internalize the fact that all these horrific events were happening while the rest of us ordinary citizens were living in the same city – generally unaware of this undercurrent of crime – it seems unreal. But it’s not. It took 16 years to finally capture and convict Whitey Bulger, who is living out his life serving 2 consecutive life sentences plus 5 years for racketeering, money laundering, extortion, firearms possession, and involvement in 19 murders. The cast of Black Mass is outstanding. Much of publicity for this movie has revolved around Johnny Depp’s eerie portrayal of Whitey Bulger, which will surely earn him an Oscar nomination. His mannerisms; his carriage; his accent (subtle, not exaggerated – and we Bostonians appreciate that.) Rory Cochrane plays Steve Flemmi, who did a lot of Whitey’s dirty work and executed many of the murders. Joel Edgerton convincingly portrays John Connolly, the FBI agent who gets more and more entangled with Whitey and finally loses all sense of right and wrong. His performance captured Connolly’s corruption as a progressive addiction to money and power, all the while adhering to the “Southie” code of loyalty. Benedict Cumberbatch was a little too refined as Whitey’s brother, Billy Bulger, a very successful Boston politician who ultimately became president of the Massachusetts State Senate and president of the University of Massachusetts. If the movie has a flaw, it’s a lack of introspection and focus. On the negative, you can just see it as a procession of graphic murders. The end of the movie is the end of the story. There is no tipping point, no explanation for Whitey’s ruthlessness nor for his kindness shown occasionally in the neighborhood. 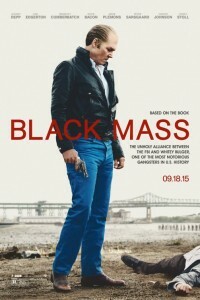 “Black Mass: The True Story of an Unholy Alliance Between the FBI and the Irish Mob” is the basis of the movie. The title is probably an understatement.